According to the League of American Cyclists, Austin is the only “Gold Level” city in Texas. 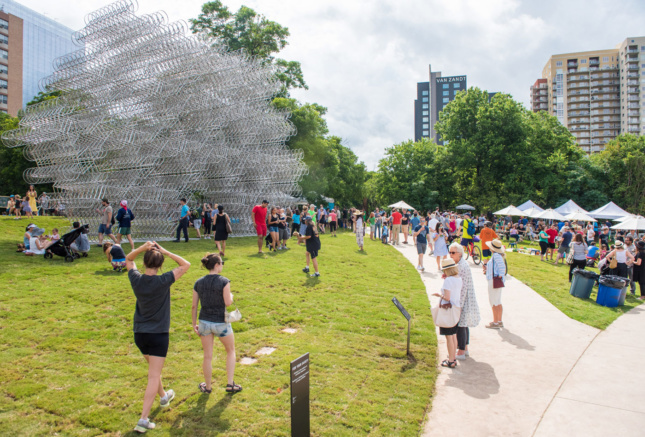 The cycle group, Bike Austin, currently boasts approximately 13,000 members—more than one percent of Austin’s population. 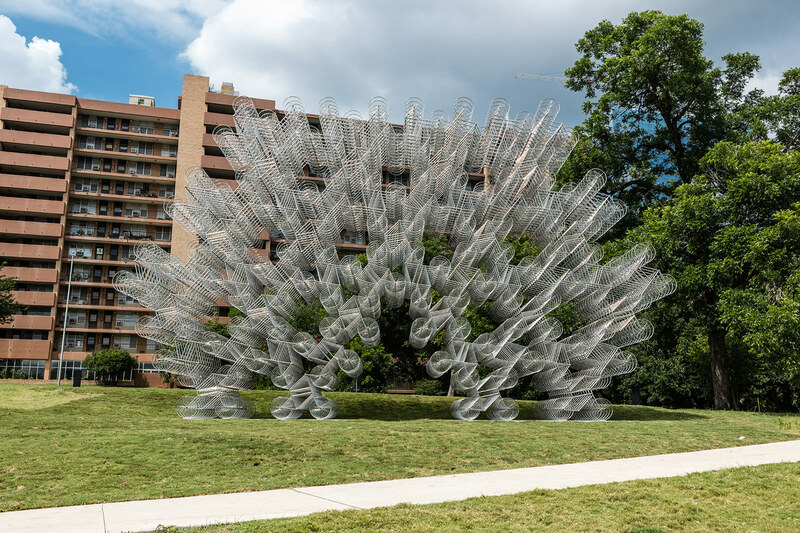 So perhaps a sculpture titled Forever Bicycles has found the right home. Forever Bicycles comprises, well, you guessed it, a lot of bicycles—1,200, to be precise. The large-scale work from Chinese artist Ai Weiwei is part of The Contemporary Austin’s Museum Without Walls program and its ongoing partnership with Waller Creek Conservancy. 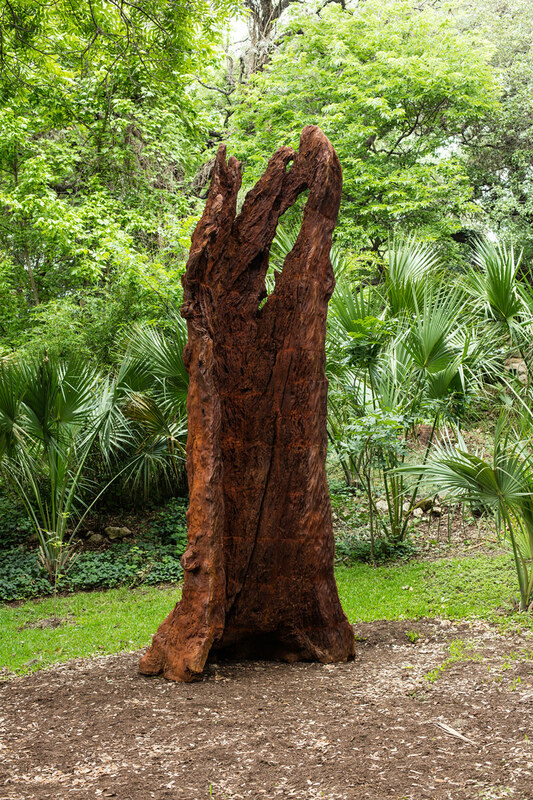 It can be found adjacent to the Waller Creek Boathouse at 74 Trinity Street. However, while Duchamp toyed with the mode transport in a singular fashion, Weiwei exhibits it in excess, recalling the bike brand “Forever” that dominated the streets of China during his childhood, yet were out of his, and many others’, price range. 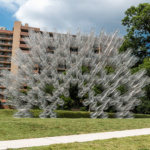 The bikes are connected and arranged in a seemingly disorderly manner, yet this pattern of partially tessellating bicycles is repeated 11 times, with each iteration being equidistant from the next. 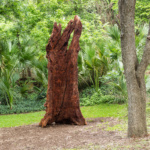 From certain angles, the density of the sculpture obscures the cycle motif and the artwork is instead perceived as a metal mesh. 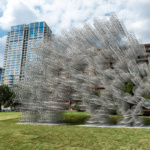 However, this isn’t putting off Bike Austin, which says it will be incorporating the sculpture into the daily cycle routes. 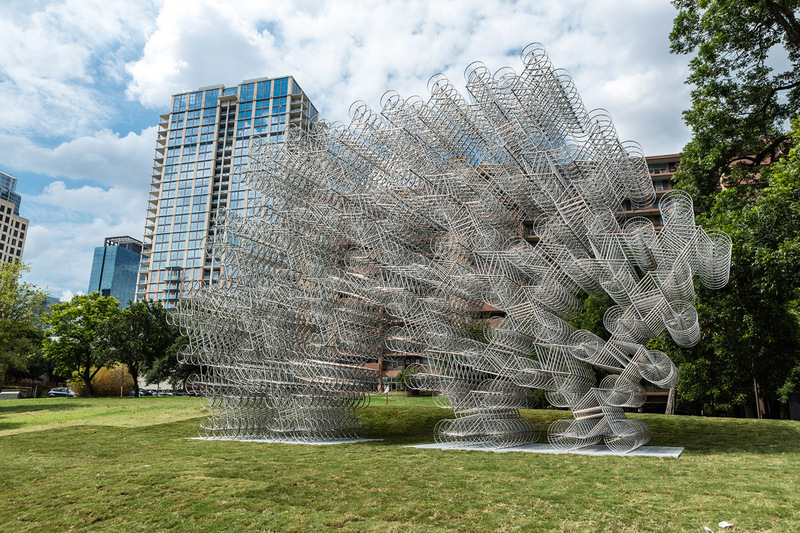 Forever Bicycles is actually one of two Weiwei works that now fall under the Museum Without Walls program. 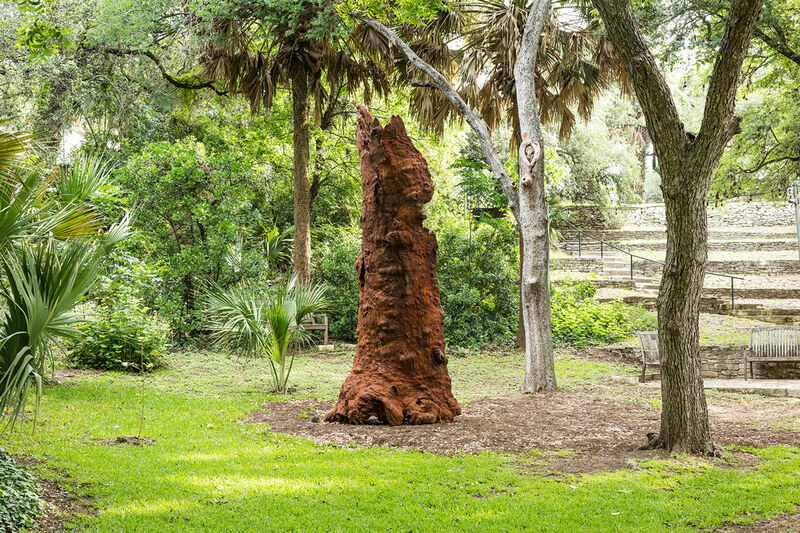 The second, titled Iron Tree Trunk, is located at the museum’s Betty and Edward Marcus Sculpture Park at Laguna Gloria and sees a replica dead tree trunk rise 15 feet. On a visit to the Chinese town of Jingdezhen, Weiwei observed how locals trade dry wood by basing the value on the wood’s form and general aesthetic. 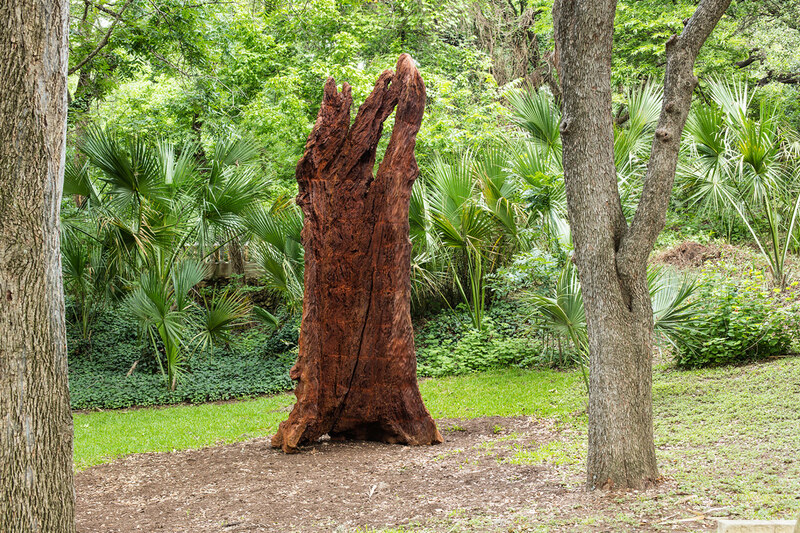 This inspired Weiwei to experiment with wood in a large-scale format. 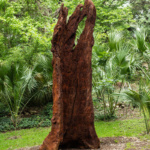 By 2009, he was exhibiting works that used twisted timber, and Iron Tree Trunk, conceived in 2015, continues this thought. 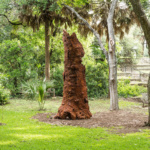 The sculpture uses the remains of a large tree that have been pieced together to form a new “tree” that, at a glance, looks as if it is from oxidized iron.